I am forever making cups of coffee in our house, especially for my husband who gets through atleast 5 cups plus a day easily. We buy instant coffee mainly but do own a Dolce Gusto machine so we will occasionaly use that. We were recently sent a 1KG bag of “Supercrema” Native Coffee Beans to trial. These are priced at £9.95 and you can buy them here. There are lots of others flavours to choose from so whichever matches your desire. 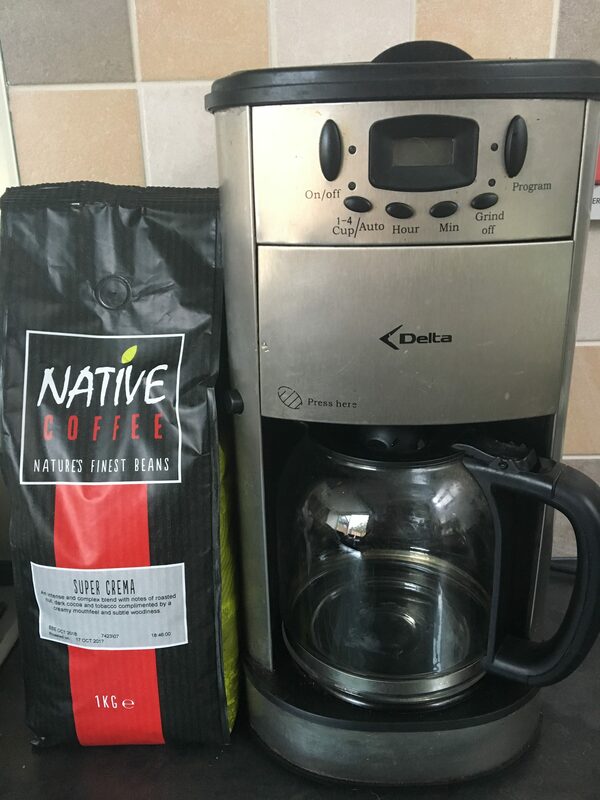 The coffee tasted as good as, if not better than a lot of the real coffees we have had before It also had that smooth creamy texture and taste that instant coffee always seems to lack. Overall, this coffee looked good, smelled good and most importantly, tasted great. *I was sent this products free of charge for the purpose of this review. However, All thoughts and opinions are my own.